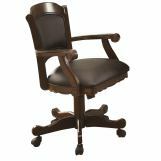 The Turk Collection by Coaster will add both fun and beauty to your traditional styled home. 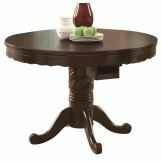 This game table and chair set features sophisticated style, with gorgeous shaped aprons, scroll details, and rich carvings in warm medium solid oak. 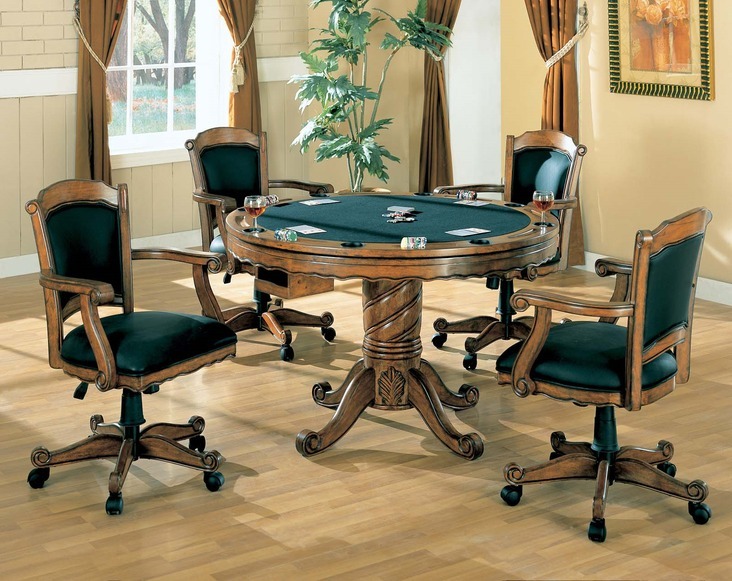 Comfort and convenience make these pieces even better, with a three-in-one game table top, and arm chairs with casters for mobility, and soft padded backs and seats to keeping you happily playing for hours. 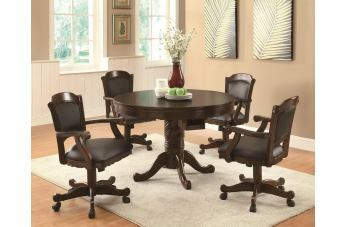 Add this collection to your home for a stylish and fun gathering space that friends and family will love.